During the holiday season, we often spend much more time with family than other times during the year. Yesterday my husband and I went up to Ojai for lunch. We sat outside with the dog across from a large table with many family members. It was the day after Thanksgiving. Ever the observer, I watched the subtle dynamics and interplay within this family unit. This morning I was contemplating why relationships with those closest to us can be so challenging. Then, I watched a post of a 1950’s housewife taking LSD on a video that someone posted on Facebook. Baring any extremely serious traumas that may have occurred within this web that we call “family” that tends to extend back for generations, I just simply thought about how our own realities work. Getting back to this post of the housewife on LSD- she was simply reporting what her experience was to the doctor who had administered the drug. What I noticed from this “experiment” was that the Doctor was just basically curious about her experience. Of course, he could not actually see or experience what she was seeing and experiencing, but none the less, he was curious. He could have very easily said, “You are nuts! None of what you are describing is true!” Of course, this is what actually makes us nuts- having our reality denied. Our complex relationships are complex because none of us experiences reality exactly the same way as anyone else. Truth is, we are all creators of our own Universe. It feels really good when someone sees what we see or experiences what we experience. This resonance allows us to feel less alone in the world. This resonance creates a web of empathy, kindness and love. But what if our mutually existing Universes collide? Rub against one another or worse erupt into an explosion? This is ok, too. We experience the world and ourselves as constantly in contraction and expansion- over and over and over again. This is true for everyone. I wondered, watching the complexities of this family sitting across from me, who was in a state of contraction and who was in a state of expansion? Where was there resonance? Where was there discord? What if everyone accepted this experience as a dance? A play of energy? Would we become more curious about each others Universe like this woman on LSD? 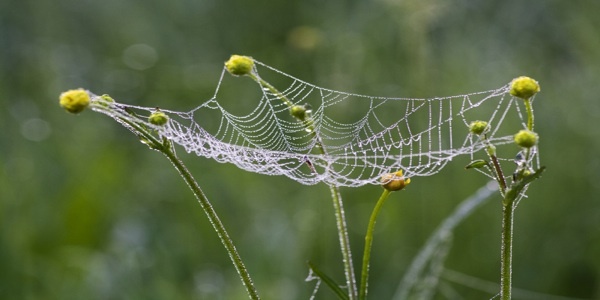 Like this image of a web- we are all interconnected despite standing all alone. It is often this need to not feel so alone that creates the dynamics within a family. To play with these dynamics means that they really are not so solid after all and if we are all interconnected- one thought that might be different from the way that the play normally goes might change the entire situation. When we freeze our internal states- nothing within the dynamic of the relationships move either. We stop being curious with each other and we make assumptions. No one likes that feeling. I am offering a gift to myself this season- I am going to listen to those closest to me like they are on their own “trip”. For better or worse- what they are expressing IS their reality for the moment. I can become more curious. I can open up to the truth that we are all creators of our own Universe. In this way- we actually can coexist…. or not. But this is by conscious choice and not out of a reaction to a Universe created outside of myself.